You knew it was coming. Our #GilletteAd T-Shirt! Since we've been in Facebook Jail we've taken the time to setup our own TeePublic store. I mean, why not right? 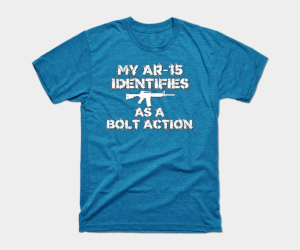 We can be creative and you can have cool looking patriotic, pro-gun, conservative themed shirts and gear. Win win right? At the time of this writing, it has over 646,000 down votes on YouTube! Right now they are on sale for only $14. That sale will end on 2/19. 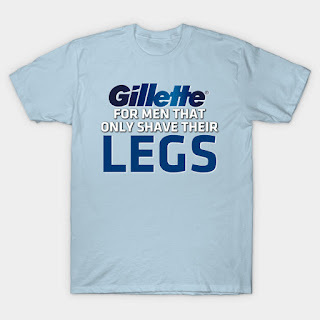 On top of that, who knows if Gillette will make TeePublic take it down. In either case, you better hurry up and get one and tell Gillette where they can stick their razors! EDIT: As expected, Gillette made TeePublic take it down. Still though, check out our other designs.